Oh, it was just a dream! Or was it? 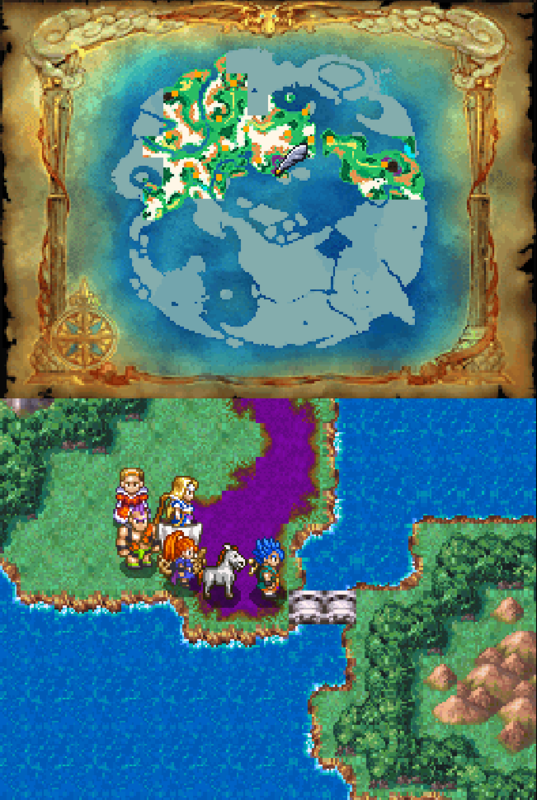 Out of all the remakes, Dragon Quest 6 is probably the hardest. The game starts off mostly easy, but the boss battles spike up the difficulty. 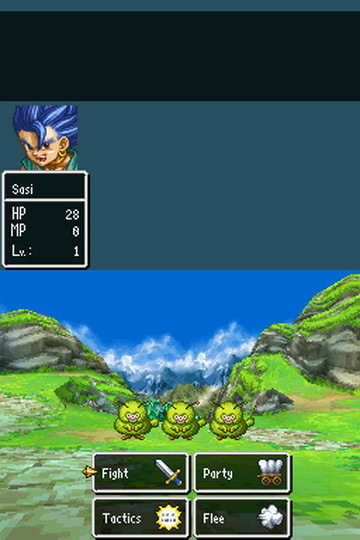 I would consider this to be the second hardest game of the series in main story play (Dragon Warrior 2 on the NES holds the number 1 hardest rank). 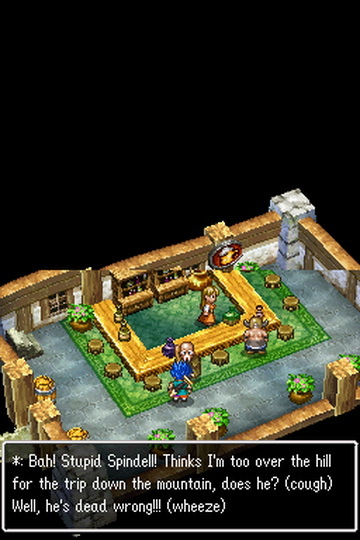 This game incorporates two different worlds you have to go through to progress the story; the real world and the dream world. In a way, it is like a fairy tale story with more violence. At some point, you will unlock a place called the Alltrades Abbey, where you are able to take on different vocations. It's quite needed as a fair amount of your characters only learn a few skills and spells, and with the raised difficulty, it can be quite a godsend. Some characters are better suited to other vocations, but for the most part, anyone can take anything you want to an extent.There are also advanced and god tiers when you complete certain vocations (EX: Wizard + Priest = Sage). This feature can easily make the game a breeze if you complete a lot of them. 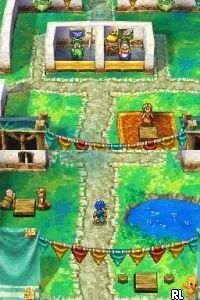 This actually is my favorite game of the series because of the storyline. It might not be everyone's favorite however, but it still is a lot of fun to play. 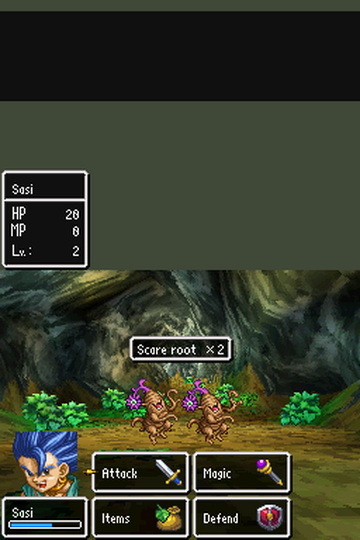 After you get past a major boss fight in the beginning, the difficulty eases up a little. 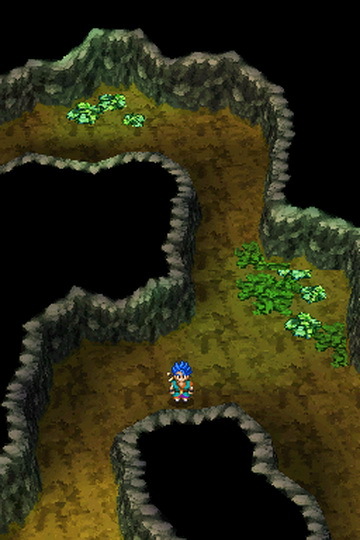 You might get a little lost with the different worlds (though there are two main worlds, there are two others to explore as well as you get further into the game). Luckily you have a fortune teller you can always go to for a hint on where to go next. 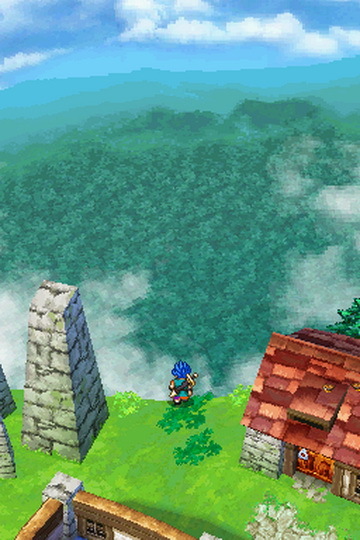 Coming to North America for the first time, Dragon Quest VI: Realms of Revelation for Nintendo DS brings the classic console title into the handheld scene. Explore two parallel worlds while distinguishing reality from illusion and seeking to discover the true meaning of your very existence. Now you can add videos, screenshots, or other images (cover scans, disc scans, etc.) 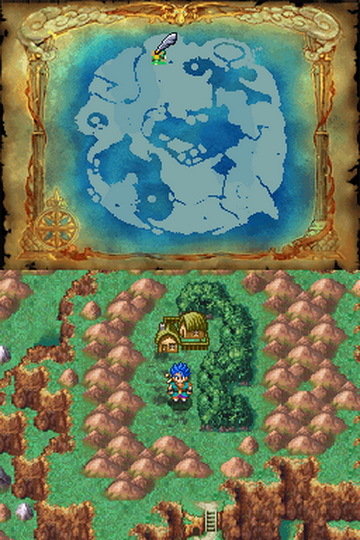 for Dragon Quest VI - Realms of Revelation (U) to Emuparadise. Do it now! If you haven't noticed yet, we have a retro game of the day feature (top-right of the screen) wherein we feature a new retro title every single day! Now, you can vote for your favorite games and allow them to have their moment of glory. 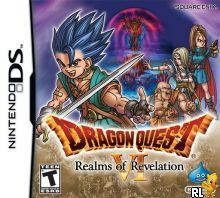 Click on the button below to nominate Dragon Quest VI - Realms of Revelation (U) for Retro Game of the Day.